Managing your own budget can be hard enough, but managing a parent’s budget as well can begin to feel like a full-time job. In this post, we’ll share tips and recommended tools to help you simplify the process for everyone, from getting organized and exploring options to keeping your parents informed and with agency. We’ll cover the basics to get you started on managing budgets and planning together for their future financial health. Taking on the management of a second budget can feel like a heavy lift, so before you even sit down to talk with your parents about their finances, make sure to have a clear understanding of your own financial realities, budget, and management system. Whether you’re helping your parents manage their budget, taking on financial Power of Attorney, or supplementing your parents’ expenses, it’s important to gain an understanding of your responsibilities so that their finances are managed transparently and responsibly. The Consumer Financial Protection Bureau (CFPB) has created helpful guides on managing someone else’s money, walking financial caregivers through duties, how to watch out for financial exploitation, and additional resources. Talk with your parents about their financial goals, what they want to save for, what’s important to them, and identify a system together for how their finances will be managed. Make sure that your parents can easily access their financial reports so that they can see how their money is being managed separate from your own. Whether your parents are planning for a transition to an assisted living home or exploring other options for care, decisions often come before families feel prepared. 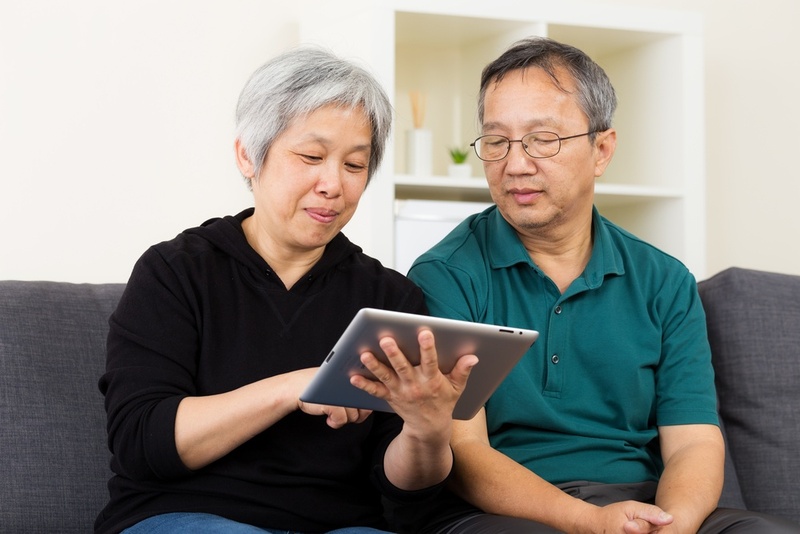 You can help your parents gain confidence in their finances and future by working with them to document assets and prepare a budget that ensures they will receive the care and support they want and need. “First, make sure you have a clear picture of your financial resources,” advises Alex Lynn from the Weatherly Inn. “Start with your income and assets but make sure you uncover any eligibility for long-term care insurance, veteran’s or surviving spouse’s benefits, or pension benefits. A Senior Living Advisor can help you to understand and explore these options. The cost of assisted living can vary widely depending on where you live, however Senior Living offers a range of estimates, and Weatherly Inn offers a financial tool and downloadable worksheet. Financial abuse was one of the top-ten consumer scams targeting seniors in 2017, so it’s important to talk with your parents about red flags to help them stay protected from exploitation. Consult with someone you trust before making a large purchase or investment. Don’t be pressured or intimidated into immediate decisions. Especially if your parents or loved ones have had a negative experience with finances in the past, it’s important to keep them in the know about possible scams, and ensure that they have access to information about their own budget and financial health. Particularly if you’re supplementing a parent’s income, it can feel cumbersome to manage budgets separately. However, managing two budgets doesn’t need to be twice the work. Many tools exist to simplify the budgeting process. In addition, a number of apps that can be easily downloaded to a tablet or smartphone can connect your accounts so that all of the heavy lifting is done automatically for you. Mint is an all in one tool to help you create a budget, pay bills, and track investments. Although it doesn’t allow you to have more than one person on an account, additional email addresses can be added so that you and your parents receive the same notifications. Learn more. Primarily intended to help couples develop better financial literacy and habits, HoneyDue’s suite of features are also helpful for managing a parent’s budget with them. Offered as a free app for both iPhone and Android, with in-app purchases, HoneyDue aims to help you stay on the same page. Learn more. You Need A Budget is a budgeting software that helps you set goals, manage accounts in real-time, and share financial information with others. This sharing feature is particularly helpful for keeping your parents in the know about their financial health and management. YNAB offers 34 day free trials followed by a monthly fee of $6.99. Learn more. For iPhone users, Wally is a personal finance app that helps to compare income to expenses, set and track goals and expenses, and offers what they call a “360 degree view” of your financials. Wally is currently offered for free, however plans to add premium features in the future such as family management tools. Learn more. If you’d prefer to manage finances on a computer, Quicken offers a complete financial solution to create a budget, create plans to manage debt or save for the future, and maximize investments. Quicken also offers an app feature, so your parents can access reports and budget updates from their device as well. Prices range from $34.99-$99.99. Learn more. GoodBudget aims to do more than help you balance a budget. According to their website, “The Goodbudget Way is an invitation to relate to money differently where you spend in line with your values, stick with a budget, deepen your relationships, grow in character, and transform your financial life.” Using an envelope model, GoodBudget is available for free or, for $6/month, you can add additional users and functionality. Learn more. Once you’ve set up a budgeting solution for your parents, it’s important that they have easy access to it and to information about their financial health. Check out [last week’s] post about how to set up a tablet for a senior so that they can easily navigate the budget tool(s) you set up for them.